The members of the Association of Medical Illustrators work in a large variety of specialties. There are professors and lecturers, freelancers, researchers, animators, interactive storytellers, illustrators, virtual-reality developers, sculptors and so on. We all have the same goal: to visualize medical concepts. Dr. Varkey explained, however, that Dr. Crozier went on to have many residual symptoms, including vision problems like acute uveitis, vitritis and heterochromia (his eye colour in one eye went from blue to green). Eventually, Dr. Varkey and his team discovered that the ebola virus was not completely gone. In fact, it was hiding in plain sight. 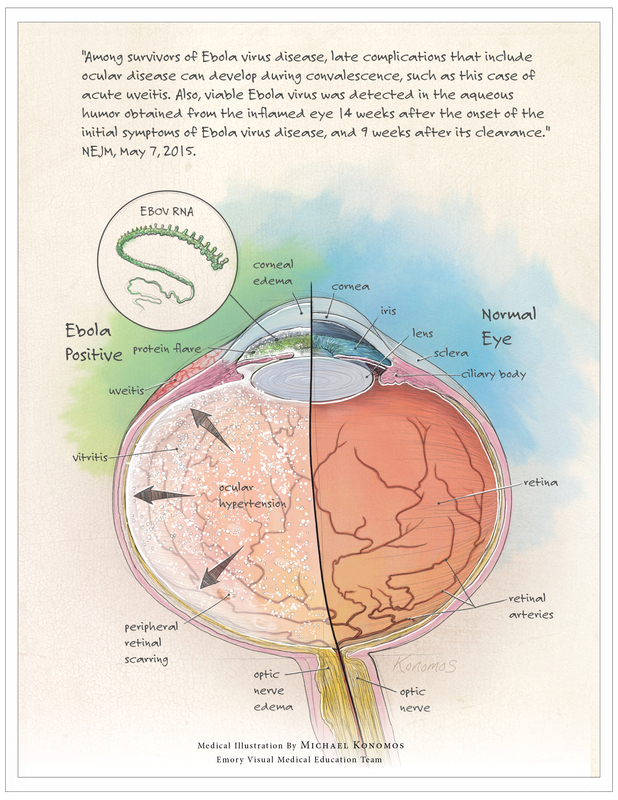 The virus had persisted in the eye, one of the organs that is effectively sheltered from the rest of the immune system. The team on call that weekend (they have on-call illustrators! Seriously.) produced 24 illustrations, some of which are shown here. The full set of illustrated symptoms is on the CDC website. 3D printing is being used more and more for surgical planning and education. Laura Swan Roy, a recent graduate of the Johns Hopkins University Art as Applied to Medicine program, explained how she used CT, MRI, and echography data of congenital heart defects (CHDs) to produce 3D-printed heart models used to inform nervous parents about CHDs. As part of her graduate research, she developed a workflow protocol that could be used for other anatomical structures. Dr. Ian McGilvray, transplant and hepatobiliary surgeon at Toronto General Hospital, collaborates (and is editor) with TVASurg, the Toronto Video Atlas of Surgery. He presented on the value and insight gained from the collaboration between surgeons and biomedical illustrators and animators. The visualizations allow him to plan tricky surgeries better and to learn from his mistakes. In her talk Dr. Linda Lee, pediatric urologist from Victoria, BC, explained that she discovered the value of drawing and sketching when she was a resident trying to learn complex reconstructive surgical procedures. 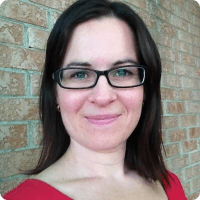 She now collaborates with the faculty at the Biomedical Communications program at the University of Toronto, and researches the benefits of getting medical residents to draw in surgical education. You can follow her adventures on her blog. A big theme of the conference seemed to be data-driven illustrations. Research by Lydia Gregg and Jackie Kustan offers an example of this. 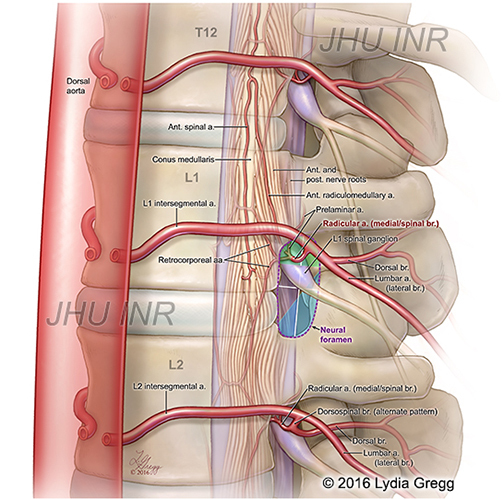 Along with colleagues at Johns Hopkins, they have been studying the in vivo anatomical relationship of arterial supply and the vertebral column. Using spinal digital subtraction angiography data (a radiological procedure) and 3D flat-panel catheter angiotomography data, they illustrated the most likely location of the intersegmental arteries and other vascular supply of the spine. They hope this work will help with understanding areas susceptible to vascular injury, and anatomical shifts in aging. Jackie Kustan published her findings as part of her graduate thesis. Still on the topic of using data to visualize anatomy, we heard from a group at Princeton and MIT who are literally revolutionizing neuroscience. Amy Sterling talked to us about Eyewire, a 3D puzzle game played by over 250,000 gamers all over the world. The goal is to build actual neurons of the brain. Neuroscientists have access to more data than they have ever had before, but were falling short in their big-data analysis of the brain's billions of neurons. Eyewire, with their game, is crowd-sourcing the data analysis portion and allowing gamers to contribute to a meaningful project. We also heard about research happening at Science Vis Lab in Toronto. Students there, along with principal investigator Jodie Jenkinson, are investigating misconceptions in life sciences education and studying how visuals can help reshape those misconceptions. For example, many students have a hard time grasping the concept of random molecular motion. They think that insulin magically beelines toward its receptor, when in fact, the motion is random. The students at the Science Vis Lab are researching how best to use animations to break misconceptions such as this one.